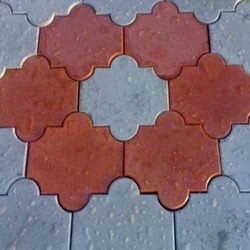 We are a leading Manufacturer of algiplast hb, algiplast mta 1100, algiplast-mta 1100 plasticizer for paver tiles, al giplast hb-100 concrete admixture and paver gloss coating algitileglaze s20 from Udupi, India. Algiplast HB is a powerful plasticizer with air entraining property which improves workability and surface finish without the addition of extra water. It improves compaction, compressive strength and reduces permeability. • Reduces breakages thereby reducing production cost. • Allows for reduction in water content without affecting workability thereby increasing durability and impermeability. Dilute proportionate quantity of Algiplast HB in water in plastic barrel. Use this diluted Algiplast HB, to the Concrete miner followed by sand, metal and cement in that order. Algiplast HB is available in 5,20,100 & 215 Ltrs drums. Algiplast-MTA 1100 is a powerful concrete accelerator for paver tiles, plastic mould tiles, decorative tiles and cement hollow blocks to reduce curing time. 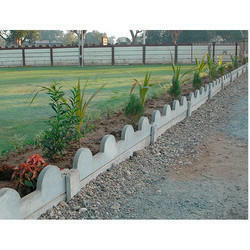 This reduces production cost and helps in increasing production capacity and speedy delivery of these concrete products. Algiplast-MTA 1100 can be used in the manufacture of paver tiles, plastic mould tiles and cement hollow blocks to increase the early compressive strength and to reduce setting time. Provides very high early and final compressive strength. • Reduces breakages, thus reduces production cost. • Reduces setting time. This allows early demoulding of paver tiles, in plastic moulds. This increases production capacity when expensive plastic moulds and storage space is limited. This also helps to supply tiles to clients on short notice. • In hollow blocks it reduces setting time. This increases the production capacity where there is a shortage of space and also supply blocks to clients on short notice. • Improves abrasion resistance in paver tiles. 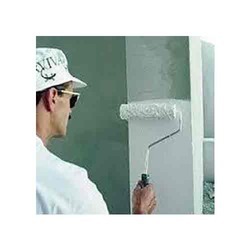 Algiplast-MTA 1100 can be used with all kinds of cements, including white cement as it has practically no colour. Algiplast-MTA 1100 should not be mixed with any other admixtures. It should be separately dispensed. Shelf life : 12 months in a sealed container. 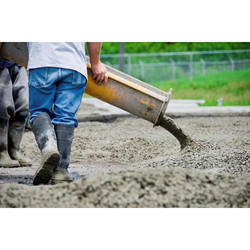 Algiplast-MTA 1100 should be added to the concrete mix at the ratio of 250 Ml_to 500 ML to 50 kg cement. Field trials should be conducted to determine the optimum ratio, for which a dosage of 250 ml per 50 kg of cement is recommended as the initial trial dosage. Mechanical Mixing : Pour the required quantity of water, aggregate & Algiplast-MTA 1100 into the mixing drum and mix continuously and then add sand and then cement & mix for atleast 2 minutes. Manual Mixing : Dilute proportionate quantity of Algiplast-MTA 1100 in entire quantity of water needed for the mix. Only add this pre-diluted solution to the pre-mixed dry concrete. Do note that effect of Algiplast-MTA 1100 is greatly enhanced when mechanical mixer is used. Algiplast-MTA 1100 is available in 40, 100 and 240 kg barrels. Algiplast-MTA 1100 is non-toxic and non-hazardous. However in case of accidental contact with the skin or eyes, wash with generous amount of water.